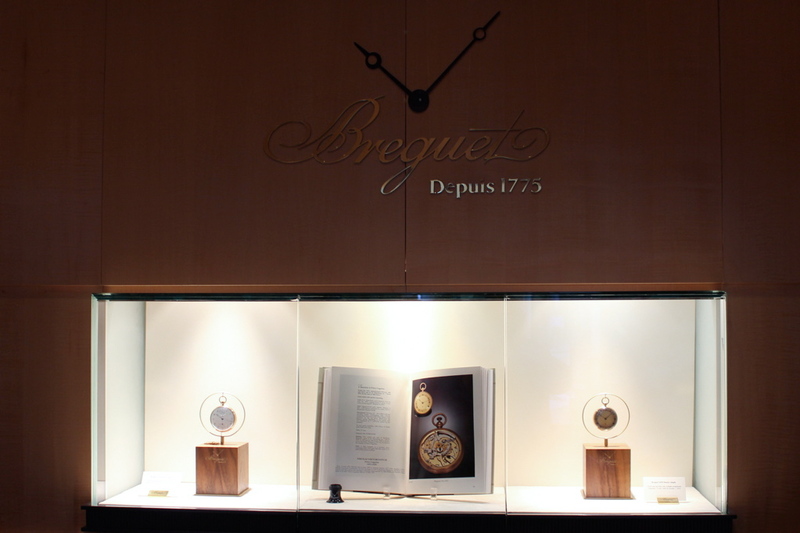 Last month, a friend and I met at the LA Breguet Boutique to view a rare grouping of four pocket watches created by Abraham-Louis Breguet. The boutique folks were extremely gracious and even removed the timepieces from their respective security displays to photograph for TimeZone. At the time, I believed this was the closest I would come to any A.-L. Breguet timepieces. Then last weekend, something special happened when a group of friends met for dinner. I posted about this sublime dinner on the Public Forum, where friends not only shared amazing timepieces but also a depth of horological knowledge. 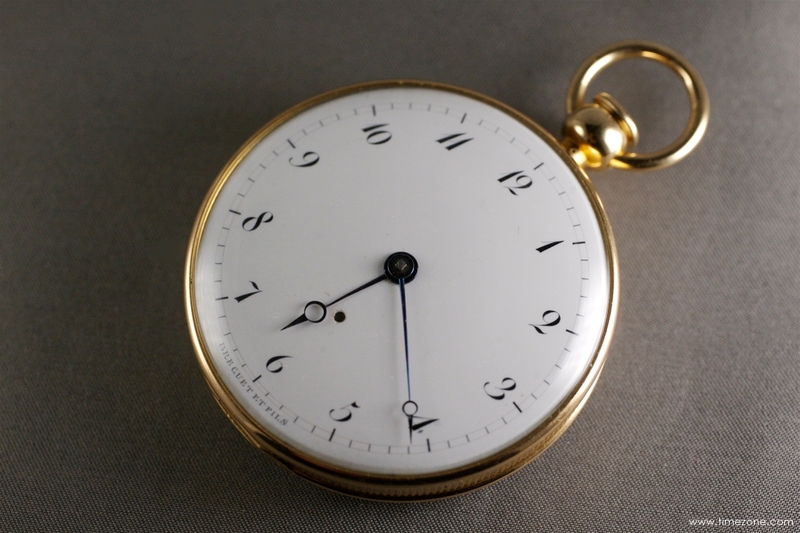 One collector shared his A.-L. Breguet Pocket Watch, No. 1734 quarter-repeater à toc with parechute suspension. The No. 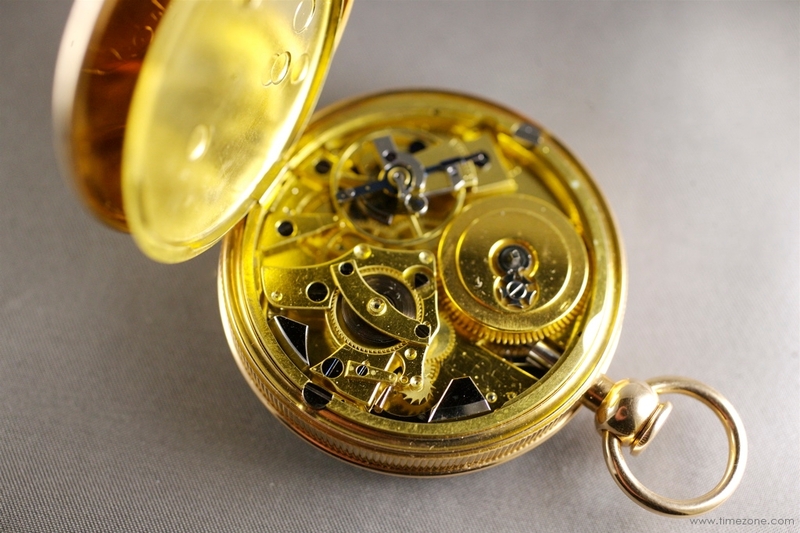 1734 pocket watch was made in about 1808 and features a quarter-repeater à toc and pare-chute suspension. The first striking watches were “dumb” repeaters (montres à toc), which struck the hours by simple thuds on the case that made no sound and could only be detected when held in one's hand. According to the No. 1734 certificate from Breguet's archives, the timepiece sold for the price of 1'368 francs to the Duchess of Newcastle. The 53 mm gold case is engine-turned in a barleycorn pattern (guilloché a grains d’orge) and features a reeded case edge. The flawless enamel dial is painted with Arabic numerals and features Breguet hands in blued steel. We were each given the No. 1734 to examine the secret signature etched into the enamel dial. Making these signatures required tools and skills which would present a severe challenge even today. Seeing the secret signature requires a jeweller's loupe and light at precisely the right angle. The dial is marked "No. 1734" with a script "Breguet" underneath. Another highlight in handling the No. 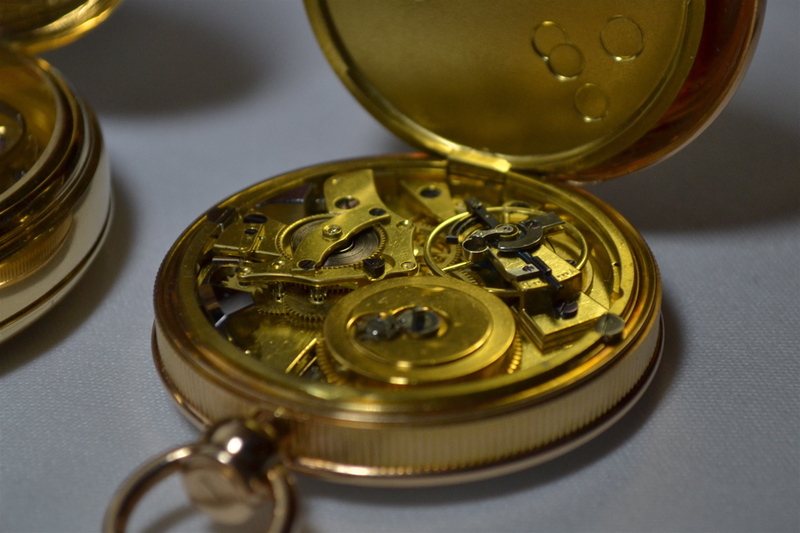 1734 was fully appreciating the pristine condition of its movement and case. 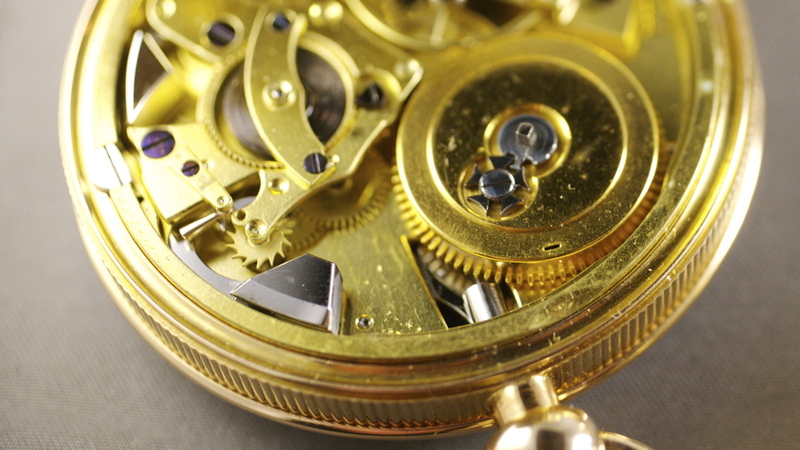 The workmanship and finish of the movement's parts are exquisite. Even the screws are pristine. The watch starts readily after being wound only a few clicks of the ratchet and runs smoothly. We even took a video to show that the movement functions as well as it did when it left the workshop over 200 years ago. Perhaps this video is evidence that Abraham-Louis is the greatest horologist who ever lived. 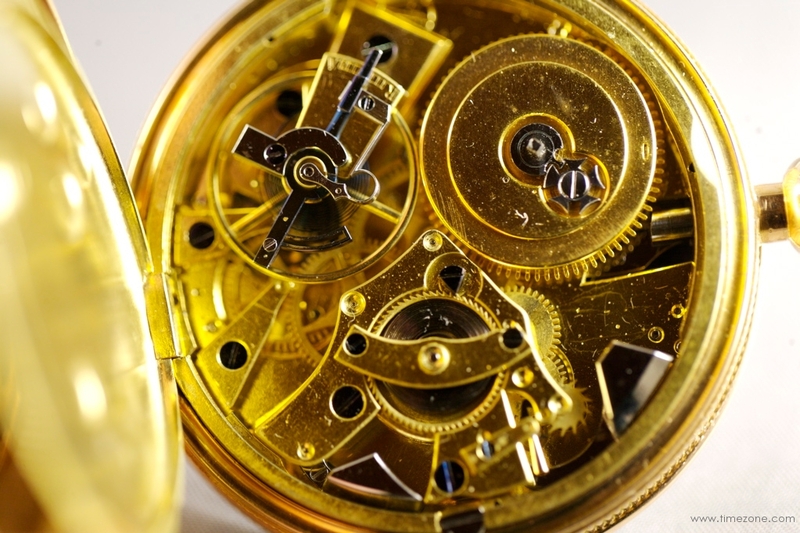 Please enjoy the only video taken of this outstanding timepiece - Video: A.-L. Breguet Pocket Watch, No. 1734.